is writing the darn problem. 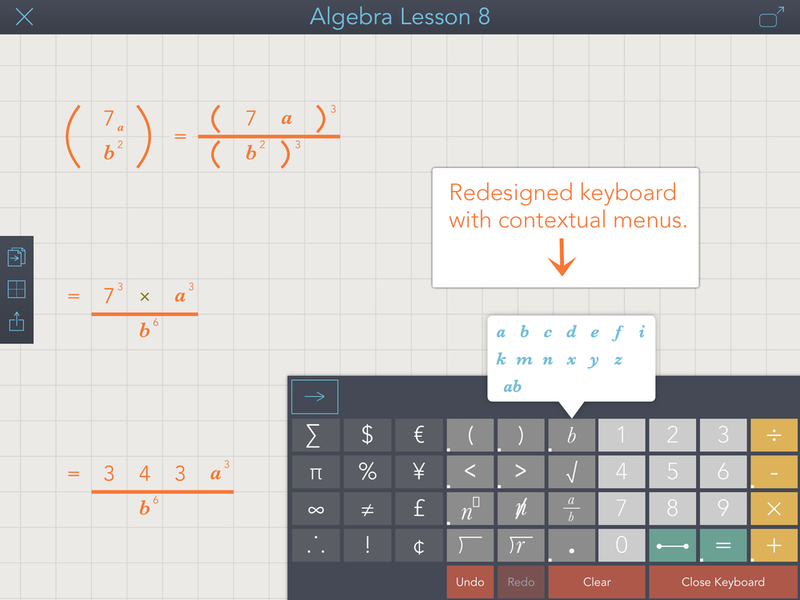 Introducing the new and improved Mod Math - Now for Algebra students too. 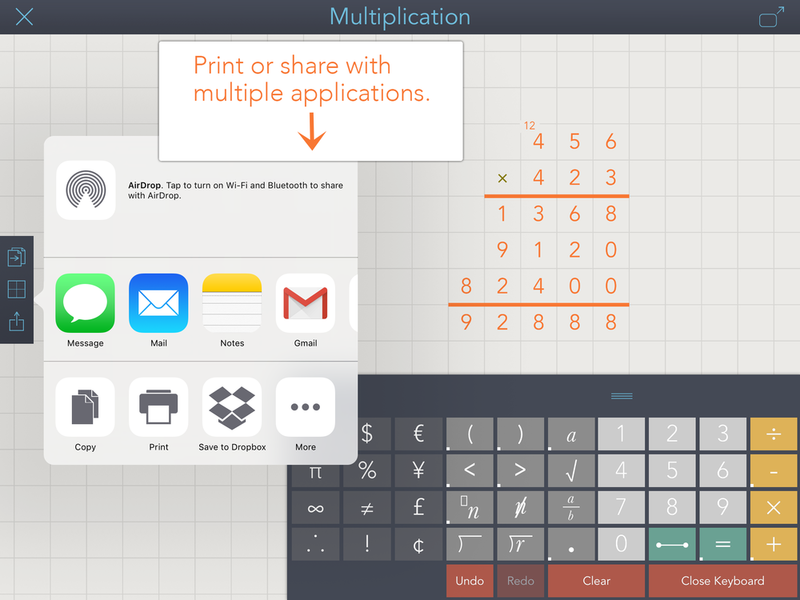 The first free math iPad app to help kids with dysgraphia just got better. Like the original version, you can still use the touchscreen and keypad to set up and solve math problems without ever picking up a pencil. But in addition to basic math problems, Mod Math now handles complex algebraic equations too—from multiplication and long division to variables and quadratic equations. Dysgraphia affects kids with dyslexia, ADHD, autism, dyspraxia and other disabilities. Mod Math helps to level the playing field. We developed ModMath because our son has both dyslexia and dysgraphia. So writing legibly is nearly impossible. And that makes acquiring new math skills difficult. If a student can’t read his own writing, or if the number columns don’t line up, how is he supposed to master math concepts like regrouping, long division, or multiplication with multiple digits, not to mention more complex concepts like algebra? Our goal in creating an assistive technology was to make things easier not just for our son, but for any child that struggles with a learning disability or a physical disability. With this new version, you'll now have the option of buying several additional symbols like pi, infinity, sigma and therefore. ModMath is a nonprofit organization and we hope to raise additional funds so we can continue to add new features. Our next project,would be an option where students can upload their worksheets directly into the ModMath grid. And we still hope to create a ModMath version for desktop and Android users. So, even if you don’t need these additional symbols, please know that buying them is an investment in your child’s future math needs. Or, click, the donate button to send a tax-deductible gift of any amount. Provide students with a virtual piece of graph paper, where they can set up math problems in a format that’s easily legible. Provides students with a pencil-free platform for doing basic arithmetic, including addition, subtraction, multiplication and division. Allows older students to complete more complex math assignments, including fractions, square roots and algebraic equations. Print out the work pages to turn in at school, upload to Drop Box., or send worksheets via e-mail, or text. Move completed equations to various points on the page. Save assignments in a searchable document library.